Bring your content alive with the 3D Autostereo Displays. Their astonishing ‘real’ 3D effect immediately grabs the attention of the viewer and are ideal if you want to make an unforgettable first impression – the perfect choice for Point-of-Sale, Out-of-Home, Digital Signage Networks, Trade Shows & Events and much more. 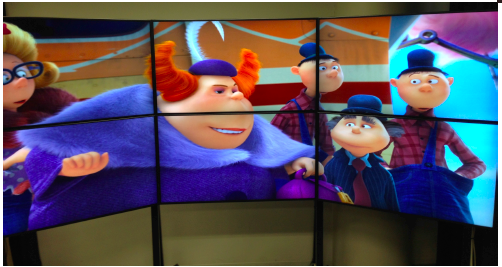 3D Autostereo Displays are modified industrial grade LCD flat panel displays ranging from 22″ – 65″ that are enabled to display crystal clear, high-definition 3D video content without the use of any special glasses. This multi-stereo technology is made possible through the precise combination of proprietary hardware, software, connectivity and content creation services. This “optical illusion” is perceived by the brain as a true 3D image. Unlike competitor products, our 3D Autostereo Display solution provides both an intense off-screen “POP.” They also have the ability to play 2D video with virtually no loss in resolution allowing a broad range of conventional applications in addition to the unique 3D programming capabilities. 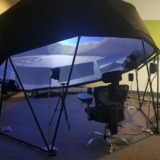 Honestly, there is really no such thing as a “true holographic display” (ala Star Trek’s Holodeck) but many technologies that use the cutting edge of modern display technology (and a few clever tricks) to simulate or trick the user into perceiving a holographic image floating in mid air. 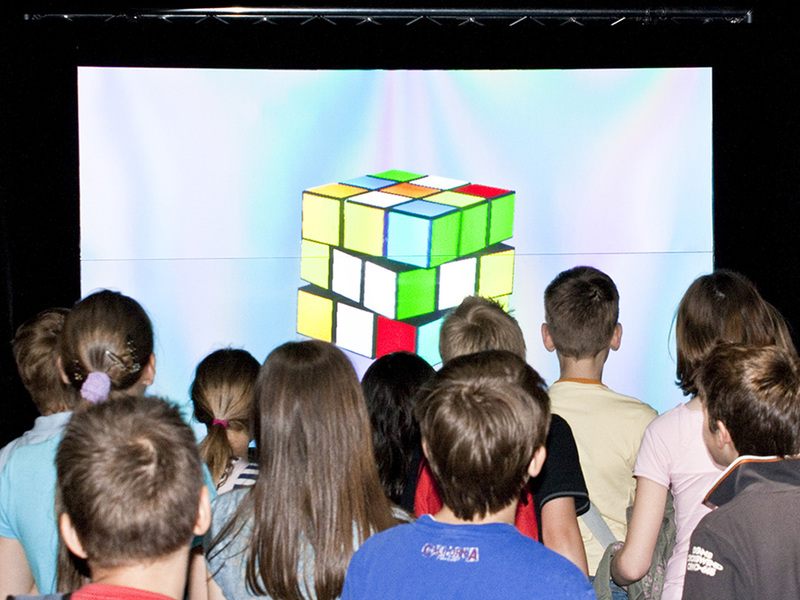 The primary Holographic Display technology that we work with features a flat screen and an array of projectors (64 LED Light Engines in the case of the most advanced) projected on a holographic film to create as close to a true hologram as exists currently. These are the best holographic images on the planet hands down. Like the 3D Autostereo Displays, these 3D Holographic Displays offer 3D content without the use of glasses or other visual aids. The difference is that these displays are true moving video holograms rather than images that simply “pop out” at the viewer. Applications for these systems include, in addition to the entertainment markets, visualization tools for the medical and scientific fields, museum and science centers, corporate data visualization, and government applications. Available in 40″ and 72″ display sizes, these displays are only recently available for US Sales. 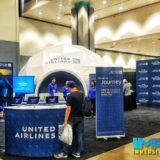 If you are seeking the ultimate 3D visualization and display technology that is both unique and impactful, 3D Holographic Displays are the ideal solution. Other options are clear projection foil using a method similar to the “Peppers Ghost” technique first utilized by the themed entertainment industry a long time ago. Now this holographic display technology is very effective at creating an image that appears to float in mid air against a backdrop. This technique requires very specific lighting, setup, perspective and viewing angles. Basically you have a hidden display source that is at an angle that allows you to superimpose the image into the background scene. Immersive Experiential takes it up a notch by delivering real-time interactive control systems to the 3D Autostereo & Holographic displays. We can enhance these displays with interactivity in a number of ways including; multitouch devices such as tablets, tables, and smart phones, as well as gesture based 3D Camera Systems like the Xbox Kinect.